The WWF (World Wide Fund for Nature), an international conservation organization, is seeking a competent and highly motivated Programme Accountant, to be based in Dar es Salaam. budget management, financial reporting, audits. Support and coordinate development of program’s operational, strategic and business plans and ensure effective implementation of the same. Manage program expenditure by ensuring that all program activities are fully funded and expended appropriately. Liaise with project technical staff and the TCO Finance Manager on budgetary/cash flows and disbursements from the donor and to program. Playing a leading role in the preparation and ensure timely submission of all financial reports assigned to you for review and approval to Financial Analyst or Finance Manager for further submission to donors and other partners as per respective contracts. Manage key program documents including the filing of invoices, contracts, vouchers and other related documents in line with Field Accounting Manual and donor requirements. Organize Program audits including preparation of documents for internal, external and donor audits. Liaise with internal and external auditors on income related issues and any other audit related issues as assigned by TCO Financial analyst. Excellent English and knowledge of local languages an asset. 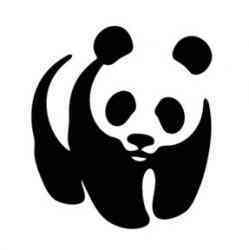 Detailed Terms of Reference can be obtained via http://wwf.panda.org/who_we_are/jobs/. Applications must include a complete CV with full contact details of three referees and should be addressed to the People & Culture Manager, via email to: [email protected].org by Monday, 26th April 2019 at 4:30 pm. Only the shortlisted candidates will be contacted and the interviews will take place in Dar es Salaam. WWF is an equal opportunity organization.